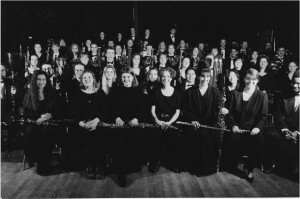 The Toronto Youth Wind Orchestra (TYWO) began as the dream of its founder and Artistic Director, Colin Clarke while he was a high school student. Under his direction, the Brampton Youth Wind Ensemble, as it was then called, comprised of about 15 young musicians who wanted to take their performance skills to the next level by challenging themselves to play professional-level concert repertoire. 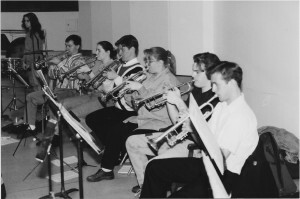 The ensemble debuted to a small, but enthusiastic audience at the University of Toronto’s MacMillan Theatre the following year. Concert goers were impressed by the band’s amazing sound and commitment to excellence and the artistic maturity and vision of its young director. 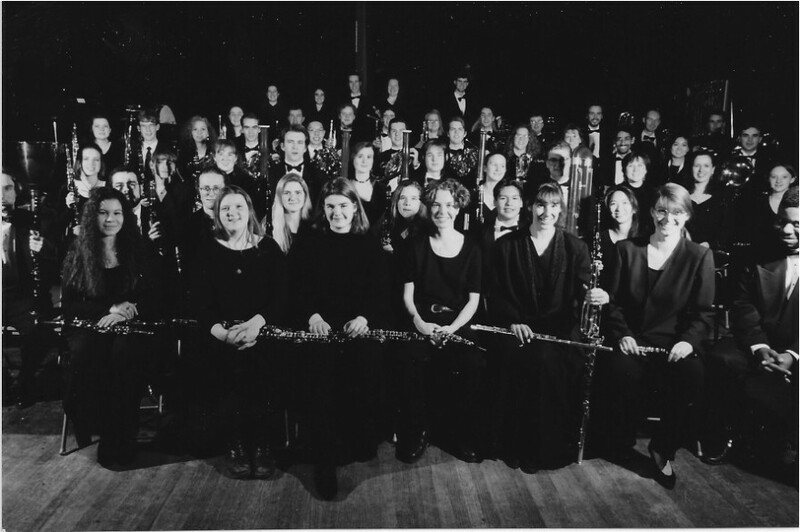 That same year, the ensemble won its first award, a Gold Award at the Southern Ontario Band Festival, a division of MusicFest Canada. Fast forward to 1994. The newly-named Toronto Youth Wind Orchestra, now with a full complement of 50 musicians, became a well recognized and widely-celebrated musical group. 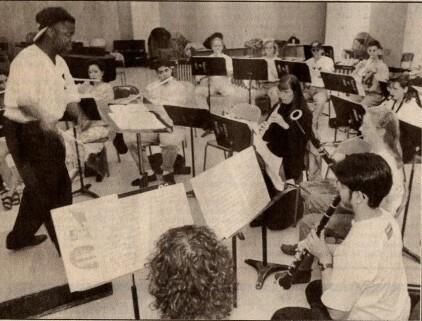 Since then, the ensemble’s accomplishments have grown substantially to include many regional and national awards, featured guests at major festivals as well as radio and television broadcasts. The Wind Orchestra boasts a long list of collaborations with renowned artists; acclaimed composers James Curnow, Donald Coakley, Dr. Jack Stamp, Johan de Meij, Eric Whitacre and Samuel R. Hazo; appearances with internationally-recognized conductors including Dr. Glenn Price of the Cincinnati College-Conservatory of Music and Dr. Donald Hunsberger, formerly of the Eastman School of Music; world-class virtuosi – trumpeter Allen Vizzutti and trombonist Joseph Alessi; and performances with great Canadian talents Phil Nimmons, Robert Pilon, W. Bramwell Smith, the Toronto Mendelssohn Choir, Peter Appleyard, Michael Burgess, Kevin MacMillan, Leslie Fagan and the Canadian Brass. On the occasion of its 15th anniversary season, the Toronto Youth Wind Orchestra travelled to New York City for a performance at the world-renowned Carnegie Hall as part of the historic hall’s Ensemble Spotlight Series, the first ever Canadian youth wind ensemble to be so honoured. In 2011, the Wind Orchestra marked its 20th anniversary with a return to Carnegie Hall. There are TYWO alumni in schools as educators and administrators across Canada, the U.S. and abroad. As well, you can find TYWO alumni in major symphony orchestras including the Saint Louis Symphony, Orchestre Symphonique de Québec, the Victoria Symphony, the Winnipeg Symphony, the Calgary Philharmonic, and the Toronto Symphony Orchestra. 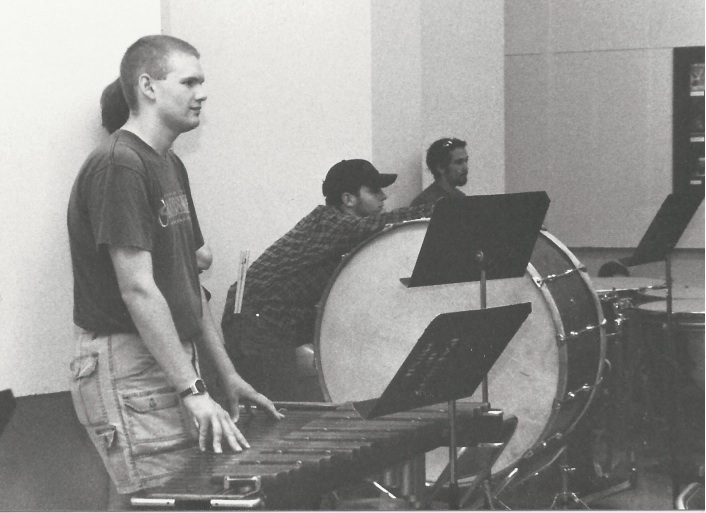 Although not all members go on into a professional career in music, all do share the common bond created from being a part of this family of ensembles. Well over 1,500 Wind Orchestra, Symphonic Winds and Concert Winds musicians, volunteers and staff have passed through our organization over the past twenty years. The Toronto Youth Wind Orchestra is a community-driven youth ensemble which operates largely through the support of a wide network of volunteers and patrons, and continues to raise the awareness of wind band repertoire and promote the importance of music education and the arts. 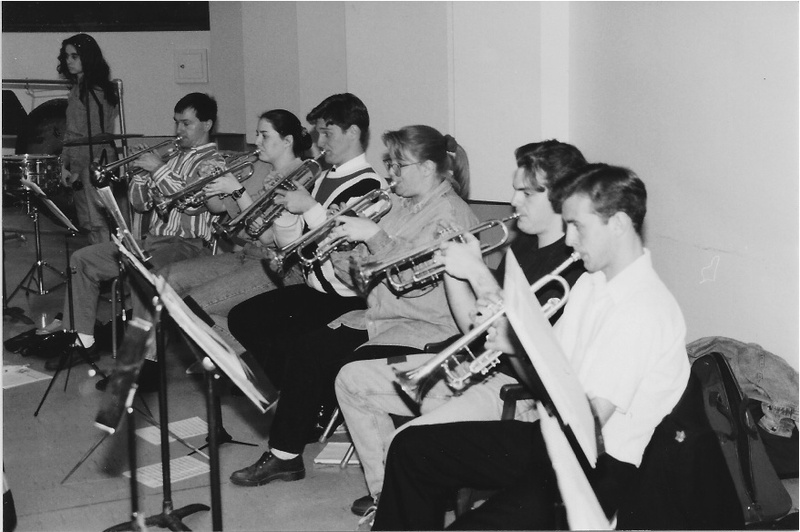 An article by noted educator Mark Caswell on the history of the Toronto Youth Wind Orchestra was published in the fall 2007 edition of the Canadian Band Association’s journal Canadian Winds. Click to download a PDF copy of the Canadian Winds.